More than 1,400 admitted students joined us on campus and got a preview of being an OSU Cowboy. Meet one of OSU's Admissions Counselors, Suzanne Edwards. Spend Spring Break in Stillwater! 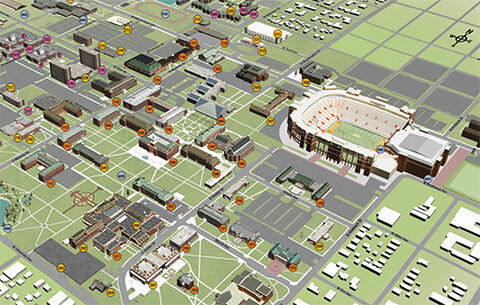 Grab the keys, buckle up and get to Stillwater for a campus tour! Now is the time to see our beautiful campus for yourself! Meet one of OSU's Admissions Counselors, Isabelle Sackett. Oklahoma State University freshman Jaci Deitrick sits down and tells you her five favorite things about OSU. Chinese students share their experience at OSU. Meet one of OSU's Admissions Counselors, Shelby Wise. Meet one of OSU's Admissions Counselors, Brittany Laub. High school students drop in to OSU for the day to learn about life as a Cowboy! Meet one of OSU's Admissions Counselors, Jenna Kool. National Merit Finalists at Oklahoma State University take the awesome experience and education OSU provides and goes one or even two steps further. Meet one of OSU's Admissions Counselors, Jennifer McClendon. Meet one of OSU's Admissions Counselors, Austin Martin.